Political parties and members of Somaliland’s Parliament have started to prepare the country’s next elections, set to take place in March 2017. While the legal framework is being discussed, human rights organisations are advocating for gender equality. The Human Rights Centre has expressed that a quota for women would increase their political participation and has called the government to pass the Sexual Offences Act, which criminalizes female genital mutilations and early marriage. Photo courtesy of Inter Press Service News Agency. This article was published by the Somaliland Press. 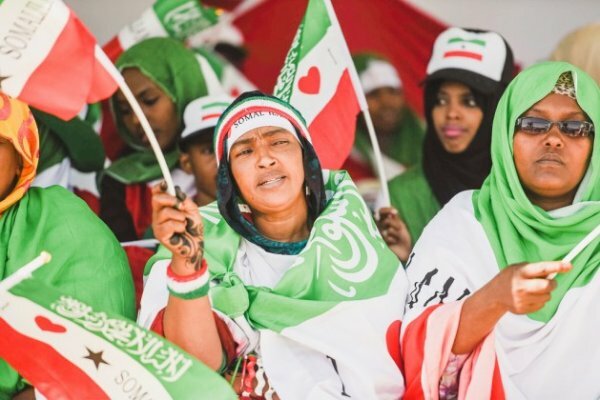 Human Rights Centre calls on Somaliland Parliament, the government and the political parties to approve quota for women in the upcoming 2017 parliamentary election. Every year the International Women’s Day is commemorated across the world on 8th March. This year comes while the preparation for elections scheduled to take place in March 2017 are in process. The Parliament and the political parties are discussing on the legal framework for the forthcoming election. “Quota will help women to increase their political participation, and will contribute in achieving gender parity in elections. The on-going discussions on new bill for election of the Lower House of the Parliament shall take into account the gender inequality and the numerous impediments hampering women to fully and equally participate in politics. Women shall be involved in the process”, says Guleid Ahmed Jama, chairperson of Human Rights Centre. Human Rights Centre requests the government and the people of Somaliland to strengthen their commitment against gender based violence and gender inequality. Human Rights Centre strongly condemns sexual and gender based violence and calls on the government to pass the Sexual Offences Act, and prohibit female genital mutilation and early marriage. “The theme for the International Women’s Day 2016 is “Pledge for Parity”. To fulfil this is warrants concrete actions based on willingness and strong commitment,” adds Guleid.